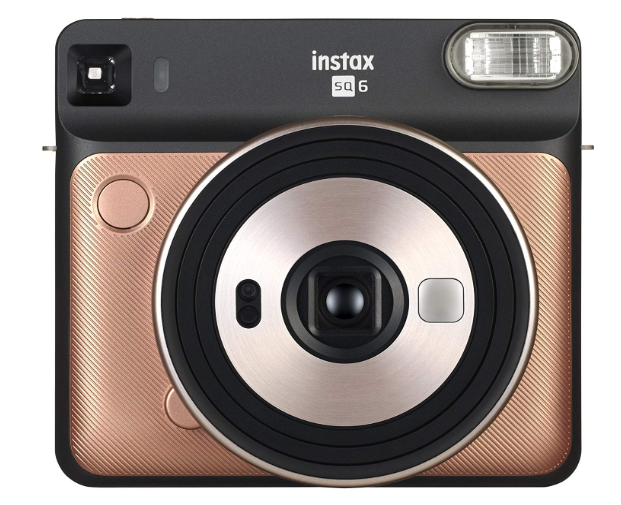 Fujifilm Instax Square SQ6 Review, (Fujifilm Instax Square) Best Water Proof Camera - The Fujifilm Instax Square SQ6 is Fuji's first square format analogue instant camera. Available in 3 Trendy Colors – Blush Gold, Graphite Grey and Pearl White. The Fujifilm Instax Square SQ6 takes Fujifilm's Instax Square film which Gives a 62 x 62mm (2.4 x 2.4") images on 86 x 72mm film. The Fujifilm Instax Square SQ6 is a Great choice for those that want creative options without complicated settings. It's also Great for Analogue fans, who want to create Organic images. Instax Square pictures are much larger than the regular Instax Mini prints, and closer in appearance and feel to traditional Polaroid prints. The body of the camera matches the square format of the film. An LED display displays the current shooting mode. Picture Size 62 mm x 62 mm/2.4 in.x 2.4 in. Shutter Release Programmed electronic shutter release, 1.6 sec - 1/400 sec. Dimensions & Weight 118.7 mm x 128.1 mm x 58.1 mm/4.7 in. x 5.0 in. x 2.3 in.